Last evening on India Today news show at 7:30 PM, I said that (1) Delhi’s eagerness to brand Mohammad Masood Azhar Alvi a “global terrorist” is more symbolic in wanting to restore the country’s reputation on account of the hit it took after the humiliation in Kandahar than because this man is any more of intrinsic importance to Pakistan’s management of the asymmetric war it has successfully waged against India over the last 30-odd years, (2) even if China were provided with “smoking gun” evidence, Beijing would be disinclined to accept it because it treasures Pakistan’s utility in keeping India shackled, and (3) it was time to ruthlessly cut off access to all ‘Made in China’ products to the Indian market in the name of “balancing trade”. More generally, I also wondered out aloud why it is that the Indian government simply won’t do the obvious thing and start imposing costs on China for such repeated provocations when Delhi wastes no time in puffing out its chest, ordering minor counter-strikes, and promising Pakistan retribution, even as the Indian press and media hurrah the government along? The Modi government swears by the “Wuhan spirit”. Whatever it is, Beijing has shown no signs of abiding by it but is happy as long as Delhi does. And still the Indian government hopes, prays and acts like the impotent entity it is proving to be every time a confident China bumps up against it, banking on diplomacy to persuade Beijing. Modi and MEA seem undeterred by failure upon failure — that’s optimism for you! Indeed, our Man in Beijing who recently demitted office as ambassador, Gautam Bambawale, outlined the MEA’s softly-softly approach in an interview. ( https://www.thehindu.com/opinion/interview/india-must-work-slowly-on-china-so-that-it-aligns-itself-with-us-on-terror/article26514702.ece ) “India must”, he said, “work slowly on China so that it aligns itself with us on terror.” By this reckoning, Delhi, it would appear, is seeking a favour. Like a beggar daily importuning a rich person in the hope that the latter will some day relent and drop a coin or two in his bowl. It is not cued to the fundamental aspect of international relations that diplomacy works best when backed by the fear of cost in terms of real and serious economic loss and/or political-military and security disadvantage and discomfiture. It is a principle the Foreign Office mandarinate particularly abhors, which was proved in the wake of the Pulwama attack. It wasted time “burning the wires”, as a newspaper headline reported, to get major countries to side with India on the Azhar issue. We have learnt, yet again, just how much good this sort of activity does India. Cutting off market access to Chinese trade and goods is the most obvious and natural thing to do considering the horrendous negative balance of payments that this country has borne for the last decade and more. Delhi can follow up by banning Huawei from selling its mobile phones here, again an entirely defensible action on the basis of the suspicion and fear of these devices being cyber Trojan Horses, which, in fact, they actually are. It is reason why the US and several West European countries have already banned government agencies from buying Huawei stuff. It is such a ban that I have been advocating since this Chinese telecom giant was first given permission to sell in India. The more substantive costs India can impose on China lie in facilitating the diversion of the Central Asian jihadi traffic that is turning into a small flood in the extended region after the Islamic State’s decimation in Syria to East Turkestan that China expropriated and calls Xinjiang. The strategic idea here being to render the Muslim Uyghur dominant western province more attractive to Islamic extremists as a bigger challenge than Kashmir by secretly mobilizing and providing them with financial, material and moral support. China will then face a Kashmir-like terrorist-armed insurgency but on a far grander scale, one which many countries, including US, Russia, Japan and Taiwan may be keen covertly to stoke. Delhi could begin by having some RSS arm or the other semi-formally and publicly promote the cause of freedom for the Uyghurs, which will also burnish its secular credentials. There are nervous Nellies galore in PMO, MEA, academic outposts like JNU, and in the commentariat in the press and media who will counsel against the hard options. They have long been taken in by the wrong things in Nehruvian thought, such as accommodationism that Jawaharlal was cured of only after PLA ran over the Indian Army in the 1962 War. It is not too late to inject correctives in the present China policy, however, one that emphasizes paying Beijing back in its own coin and no nonsense about it. Alas, the Modi-Doval combo is simply not up to it, they don’t have it in them to do something really meaningful, they lack mettle. All the steam they readily blow off is only against that great big bad bone chilling bogey — Pakistan!! The March 2019 edition of the ‘Swarajya’ magazine has published ‘The Right Manifesto’ on the eve of the general elections, containing short pieces by domain experts. C. Rajagopalachari — the rightist ideologue and free market enthusiast, who left the Congress party in the early years of the Republic because he believed Nehru was too steeped in socialism to do the country any good, it may be recalled, founded this magazine. A version of my short contribution (relating to foreign and military policy) was published in this Manifesto. The original is reproduced below. Notwithstanding its attributes and natural assets, not the least of which are an extraordinarily resilient people who never lost hope or their belief in the manifest destiny of the country to be a great power, India is very far from realizing its potential. Jawaharlal Nehru was an imaginative statesman who turned the country’s all-round weakness into moral leverage to carve out a role for India and for the Nonaligned Movement as the balancer of power between the US and USSR and gaining from the competing attention of both. He appreciated that, while soft power is good, but hard power is what matters. Nehru seeded the dual-purpose nuclear energy and space programmes and the first jet combat aircraft project in Asia, which last, he hoped, would lay the foundations for the cutting-edge Indian aviation industry. Most importantly, he articulated a stunning strategic vision for India as the fulcrum of power in the arc Maghreb-Indonesia, marred only by his blind spot for China. Succeeding Prime Ministers, lacking his “map reading habit of mind”, foreign policy intuition, historical insights, and the confidence to prosecute surefooted diplomacy, began the country’s slide. Ironically, it was post-1971 War and post-nuclear test three years later that the county’s prospects darkened. India’s military policy shrank, its focus on a weak and truncated Pakistan and, in the strategic realm, the benefits of increased global heft from full-scale nuclear weaponization were lost because the government developed qualms. India, in the new Century and under different party dispensations, forsook “strategic autonomy” for the comforts of American camp follower and, with near total reliance on imported armaments, has become a second-rate military power to match. To recover for India its inherent significance, it is necessary for an expansive national vision to be defined in geostrategic terms of making India the foremost power in the quadrant Caspian-Central Asia-South China Sea-southern Indian Ocean-the East African littoral-Gulf and by the by, ensuring that the Indian Ocean once again becomes an “Indian lake”. It is imperative that India embrace disruptive policies to force itself back into international reckoning. To achieve the above aims, the Indian government needs to have the following foreign and military policy priorities. These are here presented in bullet-points. on the larger stage, to prevent the US and China from setting the security agenda in Asia and the world, structure equally loose military cooperation collectives of BRIS (Brazil, Russia, India, South Africa), i.e., BRICS minus China, while retaining BRICS for economic purposes only, and of the Modified Quadrilateral or Mod Quad with India, Japan, Australia and militarily capable Southeast Asian states, the last mentioned to replace the US in the Quadrilateral, with the US being free to engage in such activities of the Combine as it may choose to. scrap large aircraft carriers and their construction, secure strategic and relatively invulnerable reach and punch for the navy with an augmented fleet of SSBNs and SSNs, and for the air force with 2 squadrons of Tu-160M2 strategic bombers taken on long-term lease from Russia but for tactical and theatre-level air operations rationalize the air order-of-battle with Tejas LCA as the bulk aircraft, Su-30 MKI upgraded to “super Sukhoi” configuration for air superiority, with Rafales and upgraded MiG-29s, Mirage 2000s and Jaguars providing specialist mission punch. The delayed Indian riposte to the Pulwama attack finally took place with the aerial attack on Jaish-e-Mohammad ops centre in Balakot, fairly deep into the Pakistani province of Khyber-Pakhtunkhwa. It played out, however, in the usual fashion when India and Pakistan are involved — a lot of patriotic noise covering up for minimal action, and also on the Indian side, the familiar charges of intelligence failure. The eventual Bahalwalpur feint followed by the Mirage 2000 strike sortie was, however, nicely staged by IAF. The important thing about the Balakot strike was not the numbers of JeM cadres eliminated or the extent to which JeM’s terrorist infrastructure was destroyed, but the fact that the strike took place at all. During the time it took the Modi government to gird up its loins and seek armed retribution, it seemed Delhi was going down the familiar path of doing little itself but relying on other countries to pressure Islamabad to rein in the terrorist outfits under its wing, and otherwise trying its hardest diplomatically to “isolate” Pakistan — as if this somehow would restrain GHQ, Rawalpindi, or convince Imran Khan to go on bended knees to Pakistan COAS General Javed Bajwa. Indeed, prior to Balakot the Pakistan Foreign Minister Shah Qureishi all but laughed at MEA’s contention that his country was isolated in the world for its sponsorship of terrorist gangs as asymmetric means of warfare. So, when IAF finally went into action against Balakot, it was a huge relief. The downing of the IAF pilot, Wing Commander Abhinandan Varthaman, however, raises the troubling issue of why the aged MiG-21 bis were sent up to blunt the incoming counter-strike by the Pakistan Air Force? May be Varthaman’s R-73 air-to-air missile did down the F-16 and the Wing Commander, once he rejoins his squadron, can sport this kill on the next plane he pilots. But why was the far more advanced and immeasurably more capable air defence aircraft in the IAF inventory — the MiG-29, not deployed for air defence in the first place? This is not to second-guess IAF’s operations staff but to flag a legitimate concern. Why keep your best horse in the stable when the adversary is fielding his prize steed? Is IAF’s Western Air Command to blame for this operational faux pas? Doubtful, considering how much of the operational thinking was taken over by Air HQrs with CAS ACM BS Dhanoa in constant touch with NSA to craft a just-so response. So, the question: why was the MiG-29 ignored? If the late-1950s vintage MiG-21, a wonderful plane in its day, could take out an F-16, the redoubtable MiG-29, it is reasonable to assume, would have made mincemeat out of the equally antiquated F-16 aided and assisted by a bevy of PAF’s bulk multi-role aircraft — the ex-Chinese JF-17. Considering MiG-29’s extraordinary agility, the chances would have been minimized of getting an IAF plane shot down and a pilot captured. So, why wasn’t the MiG-29 used? There are two explanations. One, that the MiG-29, like every other combat aircraft an ultimate switchable military asset, was deemed too valuable to risk in live action. And two, that most of the MiG-29s were not in operational readiness, and couldn’t, therefore, be called up. The latter explanation doesn’t cut mustard and, in any case, with so much time available between the Pulwama provocation and Indian reaction, sufficient numbers of MiG-29s would have been brought into fighting-fit condition. If, on the other hnd, the MiG-29 was considered too valuable to lose, how much more operationally hesitant would Vayu Bhavan be in using the Rafale in similar situations – the point I have repeatedly made in questioning the military utility of Rafales in the IAF inventory, and particularly of only 36 of them? I bring up this aspect because Prime Minister Modi, without perhaps realizing the import of what he was saying, implied that Varthaman would not have been shot down had he been riding Rafale rather than MiG-21, in making the political point in an election year about the decade-long delay by the Manmohan Singh’s Congress regime in making the MMRCA decision and its responsibility in undermining military preparedness. Lucky for Varthaman that he was not kept prisoner and used as a political pawn as many in the Pakistan military would have preferred to do, and that Imran prevailed on Bajwa to let the Indian pilot go. With Varthaman in captivity, moreover, the pressure would have daily mounted on Modi to ratchet up India’s counter counter-response in the hope to, if not get the Indian flier back, than inflict more attrition and pain on Pakistan, in the process, possibly triggering an action-reaction sequence that Western strategists have long feared as a “nuclear flashpoint”. This fear, however, got diluted once Pakistan was armed by China with nuclear missiles some 35 years ago, and also on the basis of the last 20 years record of Delhi’s inaction when confronted by Pakistan’s terrorist excesses. It led US thinktankers to try and explain India’s restraint by conceiving of something they called the “stability-instability paradox”, which got traction in this country with their local acolytes (C. Raja Mohan, et al) supporting it and, for obvious reasons, in Pakistan. I showed it up as a flawed and nonsensical concept during the time I spent in 1996 at the Henry L. Stimson Center in Washington DC, among the main propagators of this concept, and deconstructed this concept at length in my 2002 tome — Nuclear Weapons and Indian Security. The paradox concept is as follows: By acquiring nuclear weapons Pakistan gained strategic parity with India making for stability at that level and, because of the fear of tripping the nuclear wire, also at the conventional military level. But Pakistan army, protected by the overhang that its nuclear weapons provides it, feels free to wage sub-conventional/asymmetric warfare in J&K making for instability, with nuclear weapons deterring India from responding in kind and that this, in turn, makes for Indian non-response but also for stability. The fatal flaw in this concept, as I pointed out, is in its basic premise — of parity at any level when the fact is India can up the ante every level. In fact, the disparity is not only in terms of the resources India can muster to assure an edge in the conventional military sphere, but also in the sub-conventional military and covert warfare sectors to exploit Pakistan’s far deeper and more serious socio-cultural, sectarian (shia-sunni), and regional-ethnic faultlines than anything India suffers from. For every Srinagar Valley there’s an independent Baluchistan, Baltistan, or even Sindh to egg on, and for every Khalistan, a Jinnahstan (propelled by the grievances of the muhajir community in Pakistan) and even Seraikistan! And that, attempts at radicalizing the Indian muslim can fetch Delhi (in cahoots with Iran) radicalized Pakistani shia enclaves and an energized Tehreek-i-Taliban Pakistan. All it needs is for a strong-willed Indian government to ratchet up the response in kind in any or in all three of the hostile engagement sectors that Pakistan chooses to venture into including, I have said, the nuclear warfare field. 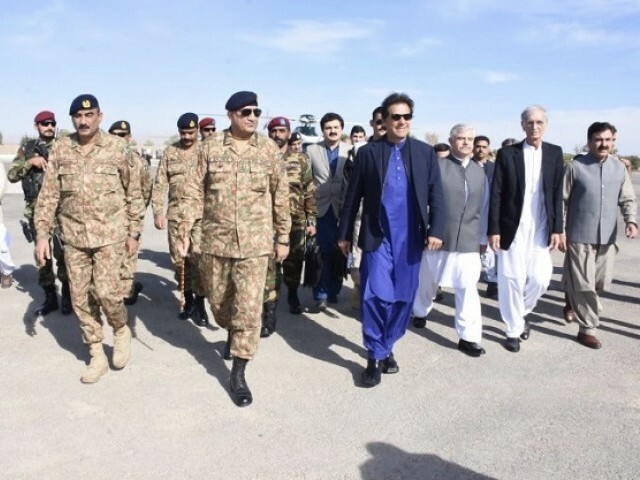 Have admired the strategically-driven Pakistan army for its professionalism, a main component of which is its ability to measure the risk in pushing India only so much and no further, to generally appreciate that country’s geographic, political and economic limitations when facing a comprehensively superior adversary, and to call a halt to the hostilities when they begin trending against it. So, like in previous conflict situations, this time too Islamabad terminated the budding action-reaction sequence once its F-16 was downed, the Indian AD firmed up, the Indian army was geared for movement, and the Modi government showed an appetite for still bigger military action. Thus, I have argued that while Pakistan, run by its army, is far better at holding its nerve in crises than the Indian government ruled by a disinterested political class and advised into responding sub-optimally by a strategically slow-witted military and civil servants manning the permanent secretariat of government, if a conventional military push actually comes to nuclear shove, GHQ, Rawalpindi, will ultimately be persuaded by the logic of the exchange ratio. Pakistan has long been China’s cat’s paw in the region. Between the two of them, India has been reduced to a shrinking violet of a country. Beijing’s unwillingness to brand terrorist outfits prospering under Pakistan army protection reflects how masterfully China wields its one-two punch: using proxy terrorist outfits to unsettle India in the sub-conventional military sphere and a nuclearised Pakistan to checkmate it strategically, besides providing Islamabad political cover in case things go wrong. The success of the China-Pakistan nexus is mainly due to India’s extraordinarily defensive-passive attitude to Chinese provocation. Beijing’s hold on Delhi is so complete, its every move occasions a sense of foreboding and dread in the Indian government. Its rocketing economic growth has added the element of awe to the fear of China, resulting in Delhi’s characteristic stoop as a second-rate power. It is not too late for India to stop being preoccupied with the cat’s paw and to instead deal with the cat. In its habitual kowtowing, India has lost sight of China’s frailties and ways of exploiting them. The greatest strategic blunder Beijing committed was providing nuclear missiles to Pakistan. India knew of these clandestine transactions when they began in the mid-1970s. Rather than reciprocating by arming states with nuclear missiles, starting with Vietnam on China’s periphery, most of whom have territorial disputes with it, India sought to burnish its moral stature as a “responsible state” and handed the strategic advantage to China. Strategically-equipped southeast Asian nations would have brought China to its knees, because its maritime weakness against the powerful Japanese and US navies in the Sea of Japan and the East Sea would have been matched by its vulnerability in the South China Sea. Its seaborne trade, accounting for more than 90 per cent of its exports and generating much of China’s wealth, would then have been in peril. Then there is Tibet, which is under Chinese military occupation since 1950, which India chose not to contest. It is suffering systematic “cultural genocide”, its people treated with utmost cruelty in their own land. Far from fighting for the ‘Free Tibet’ cause and leading an international campaign against human rights excesses in Tibet, and in Xinjiang, thereby conjoining the Uyghur and Tibet causes, Delhi acts as Beijing’s thanedar, preventing exiled Tibetans from even protesting peacefully in front of the Chinese embassy. If Beijing does not subscribe to ‘One India’, inclusive of the whole of Jammu and Kashmir, where is the need for Delhi to continue to accept Tibet or Taiwan as part of the ‘One China, many systems’ concept? And, isn’t it time that India, burdened by a colossally unbalanced $70 billion trade with China, used the threat of loss of access of Chinese goods to the vast Indian market to leverage a more equitable trading regime? And, shouldn’t India, like many European countries and the US, ban Huawei and other companies peddling mobile phones and switching systems, and rendering our communications grid vulnerable to cyber attacks? Moreover, India has been lax in raising offensive mountain strike corps fast enough to take the fight to the People’s Liberation Army on the Tibetan Plateau, and not considering the utility of placing atomic demolition munitions in Himalayan passes to deter China from aggressing in the northeast. Doklam was just a foretaste of territorial aggrandisement to come if India does not wake up. The over-the-top public breast-beating with everybody a jingo demanding telling retribution for the Pulwama terrorist suicide attack has forced a, national security-wise, disinterested political class to hyper-ventilate. In this situation, there’s the ready danger of a government’s response decision, prompted by the media-driven frenzy and hysteria, being very, very wrong. With general elections in sight, moreover, the government is more interested in impacting public consciousness than embark on a well thought-out punitive strategy, which’s all the more reason that cool heads prevail in the South Block and the Prime Minister calmly tones down the rhetoric, while instructing his cabinet colleagues and BJP minions to do the same. This won’t happen of course because, as is virtually an Indian norm in crisis, political leaders without a clue about what sensibly to do, spout blood in their speeches and fire up the public anger still more. The danger of the government being led by the nose by public sentiment is nigh and results in fiasco. Recall the immediate aftermath of the hijacking of Indian Airlines flight IC 814 to Kandahar on 24 December 1999, when families of passengers on board sat on dharna on the pavement across from the Race Course Road prime ministerial complex with TV cameras airing in endless loops heart-rending scenes of mothers, wives and children hollering for PM Atal Bihari Vajpayee to give into the terrorists’ demand and save their kin which, minute by minute, hour by hour, eroded the first BJP regime’s resolve to halt the Jaish terrorists in their tracks by preventing the plane captured by them from taking off from Amritsar for Dubai. Had Vajpayee steeled his heart and decided that he’d not be swayed by public cries but by national interest, the 176 passengers in the Airbus A 300 may have died but the message would have gone out strong and clear to all terrorist quarters that they wouldn’t enjoy easy victories by aiming at soft targets. Instead, the farce at the Amritsar airport was played out when the aircraft was refueled and flew out of Indian air space and the situation got out of India’s control. At the mercy of the Taliban government, the Indian government had to eat crow on the bare airfield in Kandahar as external affairs minister Jaswant Singh handed over known terrorist kingpins — Maulana Masood Azhar, Mushtaq Ahmed Zagar, and Omar Saeed Sheikh until then in Indian jails. The precedent, however, was established exactly a decade earlier, in December 1989, with the kidnapping of Rubaiya Sayeed by members of the Jammu Kashmir Liberation Front, who demanded the freeing of 13 militants for the release of the daughter of the then Union Home Minister in Prim Minister VP Singh’s coalition government cabinet, Mufti Mohammed Sayeed, and sister of the erstwhile Chief Minister Mehbooba Mufti. The Indian government complied with the terrorists’ demand, and the exchange went through despite being opposed, to his credit, by the then J&K Chief Minister Farooq Abdullah. Blood counted for Mufti Sayeed more than national interest. Vajpayee in the Kandahar episode extended that principle democratically to mean that thereafter any terrorist outfit holding Indians hostage would also hold the Indian nation hostage to its whims. The terrorism problem in J&K has been out of a reactive-passive India’s control ever since. Over subsequent years, heinous strikes against army, paramil and police personnel in Srinagar Valley was escalated by the Pakistan ISI-sponsored terrorist gangs to attacks on Parliament in 1999 and, nine years later, the 26/11 sea-borne strike on Mumbai. And still Delhi was not stirred from its lassitude to think up and articulate a long term strategy to deal with the terrorist scourge, to lay down a protocol and SOPs and train all agencies in following them once a terrorist action is underway. The Indian government time and again settled instead for passion-rousing rhetoric, public cries for vengeance to match the people’s mood, followed by some slapdash response or the other. In recent times, thunderous threats of “surgical strikes”, etc. are regularly mouthed, leaving the IS to meticulously plan the next incident to spring on India. Throttling Pakistan by denying it water under the 1960 Indus Waters Treaty has been recommended by some as a heavy-punch strategy to visibly impose a devastating economic cost on Pakistan for persisting with its hugely successful policy of waging asymmetric war using willing Kashmiri proxies. Because no clarification has been issued by Prime Minister Modi, PMO or MEA, one supposes this is one of the two prongs of strategy the Indian government will now implement. The other prong being a military response at a time of the Indian army’s choosing. This last is an excellent ploy to keep Islamabad guessing and on tenterhooks, unleashing a destructive strike when Pakistan forces relax — because they can’t remain on alert forever. If the diversion, in effect, of the waters of the Sutlej, Ravi, and Beas Rivers designated by the Treaty for India’s use that Gadkari has promised is indeed state policy then there should really have been much greater debate and cogitation within government circles about its regional and international ramifications than has evidently occurred to-date. Has the MEA informed PMO about what this significant step means? Under international law, for a lower riparine country to be denied its legitimate portion of shared river waters can be casus belli — cause for war. Fine, the onus will be on Pakistan to start one, and it is in no position to do so. The trouble is a war for such an elemental reason could quickly spiral into a war of annihilation unlike all the previous relatively harmless wars of maneuver that, I have argued in my books, India and Pakistan have engaged in since 1947. Because, let’s be clear, damming and diverting the Indus River tributary waters is a matter of life and death for Pakistan. It is the brahamastra — not nuclear weapons — that can, quite literally, turn much of Pakistani Punjab and upper Sindh, in no more than 30 years, into an arid extension of the Thar Desert. Yes, emotions are running high and rational thinking is apparently another casualty. But the Modi government has to really THINK, strategically weigh the ill-effects that may follow in its train. The first thing to weigh is whether junking the Indus Waters Treaty is anywhere a proportionate response to the Pulwama provocation. Proportionality — whether anybody likes it or not — is an established central tenet of international law of war. Secondly, and it is this consequence that I have harped on in my writings, it will immediately gift China the justification for pell-mell damming and diversion of all rivers originating in the Tibetan Plateau — the Tsang-po (Brahmapurtra River) as also the Indus. Beijing has been more hesitant in building upstream facilities to siphon of water from the Indus than it has been in paying ducks and drakes with the Brahamaputra waters because its all-weather friend, Pakistan, is at the lower end of this River. Assuming Pakistan cannot and will not initiate a suicidal all-out war to settle the water issue for once and for all, how long does the Indian government reckon it will be before Beijing, citing the Indian precedent on the Sutlej, Ravi and Beas, orders huge construction projects to redirect the precious Indus waters in Tibet itself and away from its natural pattern of flow south of the Tibetan watershed and into the subcontinent? Because then the Pakistan reason for caution will go missing. What then? What case will Delhi make to mobilize international opinion against the Chinese action? As it is, Delhi has not anything other than squawk ineffectually about the Chinese civil works and dams at the great bend obstructing the Brahmaputra. India will find itself squarely in Pakistan’s position of being unable to prevent diversion but also incapable of militarily taking on a far superior China. It is this aspect of Indus waters diversion that Delhi has to be most wary of. But then Indians have always been tactical minded, not strategically oriented. And India will once again end up paying the greater price. Talk of cutting off one’s nose to spite someone else’s face!! The one — some may argue — the only bit of Prime Minister Narendra Modi’s foreign policy that managed depart form the expected was his gambit in courting Saudi Arabia and the Gulf states. What’s not clear is the game plan or the thinking behind these moves. True, this approach has achieved several things: It has firmed up the Saudi source of energy and, with Riyadh leading the Arab pack in the Gulf, also lessened the psychological distance between Delhi and the Sauds on the one hand, and on the other, encouraged the Gulf states (known in the colonial era as the Trucial states) to be unusually helpful when it comes, for instance, to handing over to India Indian nationals who sought safe haven in these parts after committing crimes or being complicit in acts of terror and find the host nations, to their alarm, ready to hand them over to Indian authorities. Further, Modi’s personal success with the Sauds and the Gulf emirs and Sheikhs also strengthens the India-Gulf economic connection in terms of improving the prospects of these countries importing skilled and semi-skilled Indian labour and strengthening the flow of remittances that are propping up the economies of several Indian states, particularly Kerala, UP, and Bihar. Just Saudi Arabia accounts for some $12 billion in remittances, and together with the Gulf nations, make up for the bulk of around $70 billion sent home by Indian workers. These secular strands of a bilateral relationship with Saudi Arabia contrasts sharply with the ties of shared religion, Islam, and strategic security cooperation strongly hinted at in the reports of long standing about the Pakistani A-Bomb being at Riyadh’s disposal if the latter ever finds itself in dire military straits — a quid pro quo for the Saudis generously funding Pakistan’s sourcing its “Islamic Bomb” and missile programmes from China starting in the mid-1970s. General Zia ul-Haq, it may be recalled, as Brigadier led the Pakistan army-manned Palace Guard for the Saud Family in Riyadh. This arrangement of personal protection may still be active. It is for a reason that Pak COAS General Qamar Bajwa’s immediate predecessor, Gen. Raheel Sharif, post-retirement, accepted the offer to lead the army of Islamic states that the ruling Saudis dreamed up. It is another matter, that Gen-Raheel has no actual army to run! This is the context in which Modi tried to get some traction on the Pulwama attack by getting however distant an acknowledgement by Mohammad bin Sultan (MbS) of a Pakistani hand in the suicide bomber attack on the CRPF personnel. This was plainly a fool’s errand because the almost Saudi supremo had already made clear during the Pakistan leg of his trip that he was happy to consolidate the Saudi stake in Pakistan by economically rescuing it from imminent bankruptcy with an emergency injection of $20 billion, something Washington cannot any more afford to do. But this Saudi action has the Trump Administration’s support because Riyadh’s willingness to financially help out Islamabad also acts as a brake against the Imran Khan regime sliding helplessly into Beijing’s strategic lap and economic servitude, courtesy CPEC. Hence, Washington’s publicly siding with India in calling for branding Azhar Masood, the Jaish-e-Mohammad emir, as a terrorist under the UN aegis doesn’t really impose a cost in terms of an alienated Islamabad which would hurt the US plan for a face saving getaway for its forces out of Afghanistan. This last is all that the US Special Representative Zalmay Khalilzad is interested in securing from the Afghan Taliban. All the American talk of achieving regional peace, etc. being so much smokescreen for US’ real intent. In the event, Washington relies on China to veto the “Masood terrorist” campaign mounted by Delhi even as America pleases Modi by seemingly being on India’s side. Clever. Whether or not Modi has a larger foreign policy scheme or not for West Asia in being effusive in his welcome, MbS certainly does. For one thing he is embarked on cleaning up his act after his role in the killing in the Saudi consulate in Istanbul of the Washington Post columnist Adnan Khashoggi was revealed by the Tayyip Erdogan government. Erdogan wants Turkey to displace Saudi Arabia as the putative head of the sunni bloc of Islamic countries. The situation is piquant — Saudis have the oil and money to buy allegiance; Ankara has the nous of a modern nation-state which also boasts of technological and military proficiency. Erdogan last year visited Delhi, part of his agenda being to polish Turkey’s image with the subcontinental Muslim community, by offering his good offices as a mediator on Kashmir. MbS has come avisiting with exactly the same mission as peace-maker on Kashmir between India and Pakistan that he spelled out in Islamabad. The chances of Riyadh being so accommodated by Delhi is minus-zero but the optics for MbS in Pakistan were too good to pass up. In India, the visiting Saudi leader no doubt cagily brought up the possibility of his being the honest broker with Modi, which met the same fate as the Indian PM’s effort to persuade him of the Pakistani hand in the Pulwama incident. So, it was a wash, with both parties refusing to make an issue of the other side not agreeing with its position. But MbS has still another angle in mind. 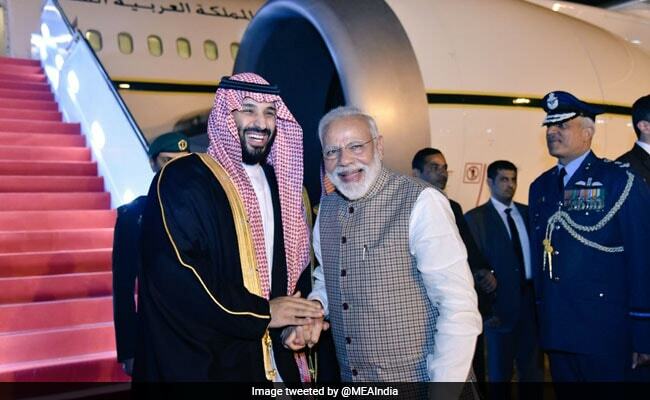 Ramping up the imagery of closeness to India — manifested in much hugging and embracing — Modi’s diplomatic innovation helps Riyadh in the Islamic world if India, with the second largest Muslim population after Indonesia and, in a few short years, headed to be the largest Muslim nation in the world, is seen to be on its side not only in the competition with Erdogan and Turkey for leadership, but in the more significant sunni-shia tussle underway with Iran for influence in, and control of, West Asia. This is the quick sand India has every chance of getting sucked into because whatever the level of security and strategic cooperation with Saudi Arabia and the Gulf nations, it pales before the potential that Iran holds out. Iran, through Chabahar, is the gateway to Afghanistan and Central Asia and, as I have argued, is one end of a naval pincer that can not only close in on Pakistan’s Gwadar but also the Chinese navy operating out of Gwadar and ex-Djibouti, making China’s maritime presence in western Arabian Sea tenuous (especially if PLAN is also denied access to Humbantota in crisis – a Chinese Company’s 99-year lease notwithstanding). Indeed, Iran’s strategic importance to India matches Vietnam’s and, hence, Modi will have to be careful of not getting India embroiled in a US-backed Saudi struggle with Iran. The more troubling aspect of MbS’s reach to Modi and India and his clucking hypocritically in sympathy about the perils of terrorism is that Saudi Arabia has single-handedly birthed and grown the extremist wahabbi menace over the last 40 years that has mutated into the hideous Islamic State. IS, according to news reports, is fighting its last in its stronghold of Mosul in Iraq. This may actually, however, be the beginning of a massive internal security problem for India — the Pulwama attack by a radicalised local Kashmiri being but a warning sign. One can expect ISI to quickly exploit the opening so provided by funneling beaten Islamic State stalwarts hailing from Central Asia and other proximal areas, into joining Jaish and Lashkar and fighting the kafir with the aim of setting up the ambitious caliphate in a less trying milieu than Syria and the Levant. All things considered, it is unlikely Mohammad bin Sultan will mind such a denouement.